The Bridge built over River Parman is in fact a strategic location as it connects India and Nepal. The existing Bridge has actually served its life span and the new Bridge is still in the making. 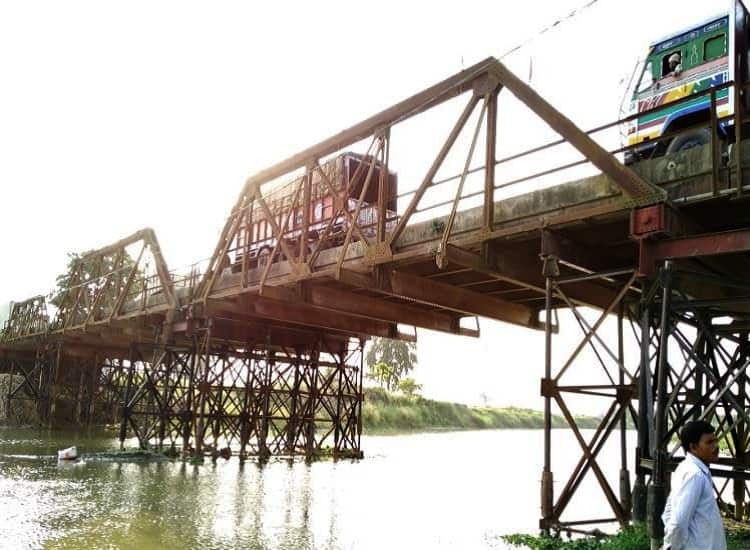 But before the new Bridge is there and operational, the challenge for the Bridge Rehabilators was to ensure to have this working as the new one will take some time before it takes shape. The existing Bridge cannot be abolished immediately. 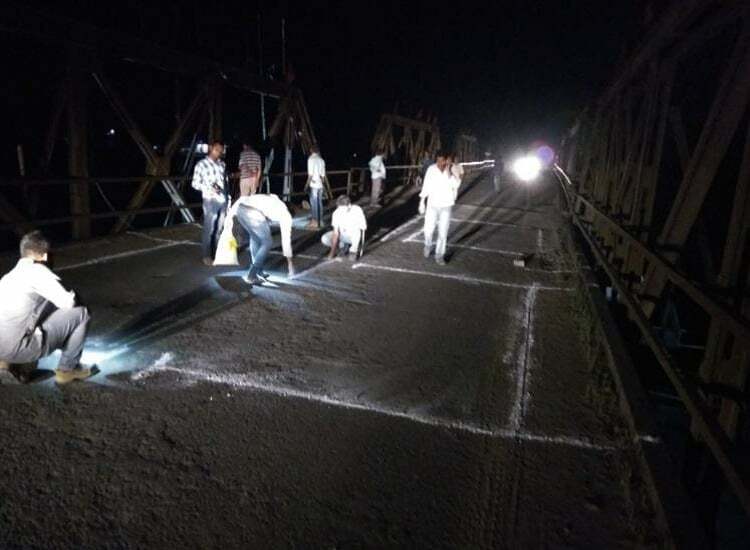 The challenge was to get the assurance about the stability and abilty of existing bridge to serve the purpose so that it can be used before the new one becomes operational. The task being critical and needed utmost care by NHAI â€“ National Highway Authority of India who had further awarded the project to JKM Infra Private Ltd.
Every challenge posed is actually an opportunity to learn, to figure out problems, to invent and reinvent and find optimal solutions. JKM Infra were looking for technical Experts in this niche area. The need of the hour was to solve the challenge through collaboration, consensus-building, and pragmatic problem-solving approach. They got in touch with ATES – Advanced Technology & Engineering Services, a division of Aimil Ltd.
Aimil Ltd as some of you may know is known as Instrumentation Experts in India. They have been serving Indian soil with Testing Instruments since 1932. They also have their Consultancy Division Called ATES – Advanced Technology & Engineering Services. Over the years, ATES has built a niche position amongst Consultancy Companies in India, focussed on providing state-of-the-art services in the field of Civil Engineering and Testing Services. ATES has done a lot of projects related to testing and rehabilitation of Bridges but this task was quite unique as the bridge had to be assessed for its remaining years and destruction of the same was not possible in the current scenario. 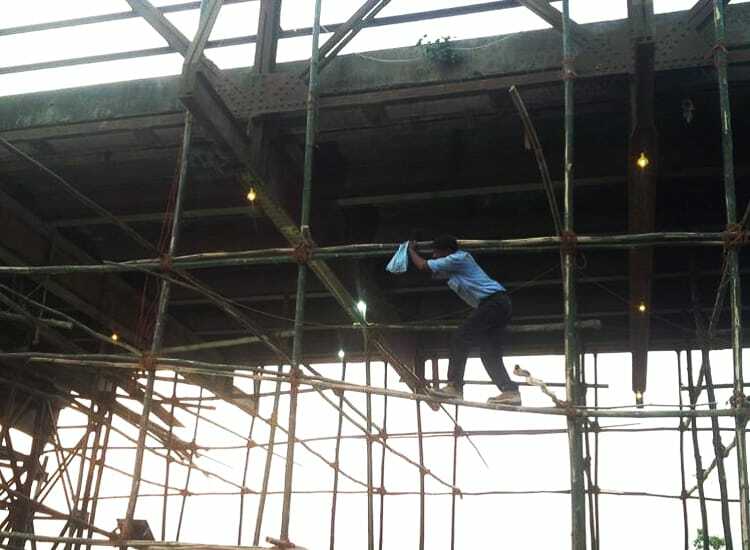 They were asked to check the stability and abilty of the existing bridge, to serve the required purpose. ATES, as we understand, has successfully conducted the load test over the bridge on the request of JKM Infra Private Ltd this month. Parman River Bridge is a steel composite bridge situated at Forbesganj – Jogbani National Highway NH-57A , Bihar. The test was performed by placing the fully loaded trucks over the bridge and measuring the deflection of the span by total station using optical targets. After the testing by their experts they have estimated the plying ability of the Bridge. We will still be able to use the Bridge with restrictions though on the weight which can be carried by the vehicles, as observed by the technical team. The ability to handle this critical project reflected the strength of the Consultants. There are Solutions always available, to tackle Challenges of any kind.